Welcome to our list of the best biking events for the next week and the rest of 2019. If you’d like us to consider your event, please email emily@sbsmag.co.uk with details. 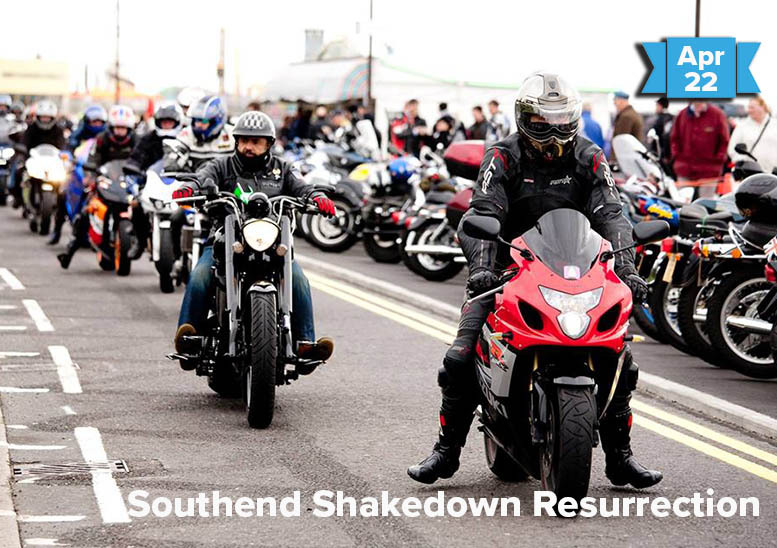 The Southend Shakedown is back for the first time since 2016, and will see over 3000 motorcycles descend onto Southend’s seafront. The event, which used to be an annual ride from London’s Ace Cafe to the Essex seaside town, runs from 10am until 5pm this Monday. It features live music from tribute acts and local outfits, as well as games to keep the kids occupied. Bikes will turn out in their droves so there’ll be plenty to admire, and a ‘show bikes area’ will offer up some rarities. To park in the event zone, riders will need an event disc, which are given out free on the day on a first-come-first-served basis. 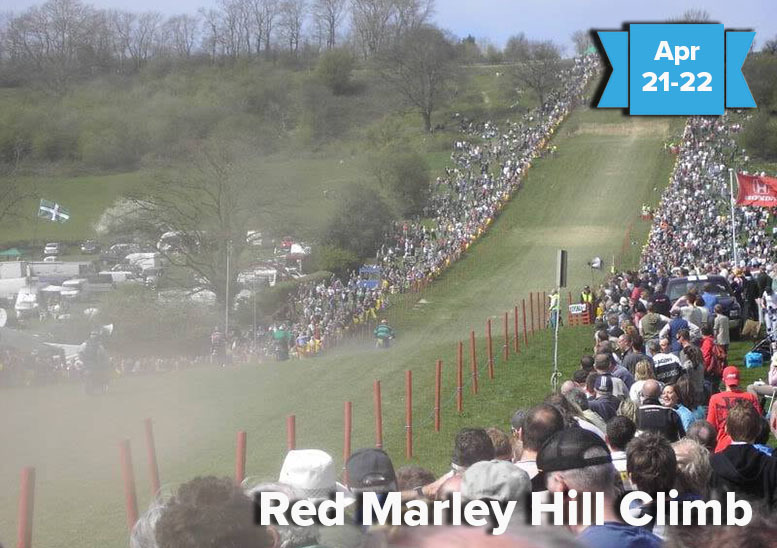 Much like Christmas, the Red Marley Hill Climb in Great Witley near Worcester only happens once a year, and what better way to brighten up your Easter Bank Holiday weekend? Watch in awe as pre-1974 off-road bikes battle up the hill towards the “pimple” – a tricky jump that sends them soaring into the air and praying they land back on two wheels. All riders are aiming to beat the 19.53 second record, which was set in 2009. 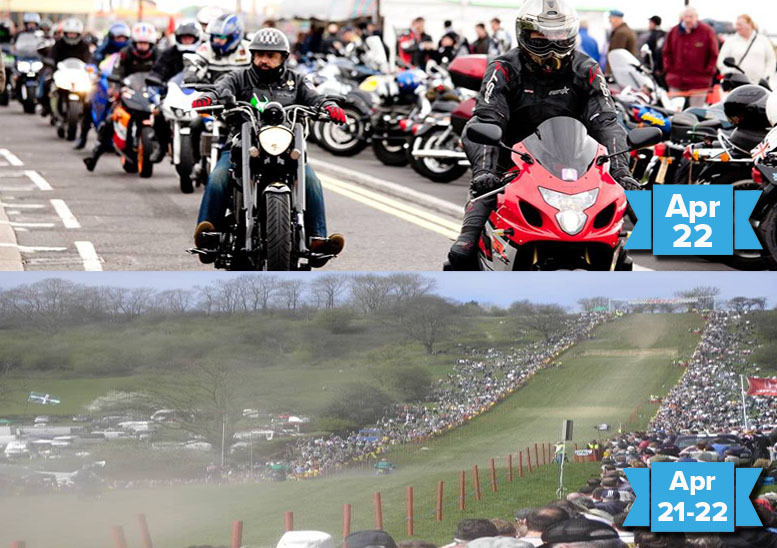 Admission to the Hill Climb on Monday is £10 for adults, with children under 11 getting in free. There’s also a trial for pre-1970 British bikes on Sunday, which is free to attend.